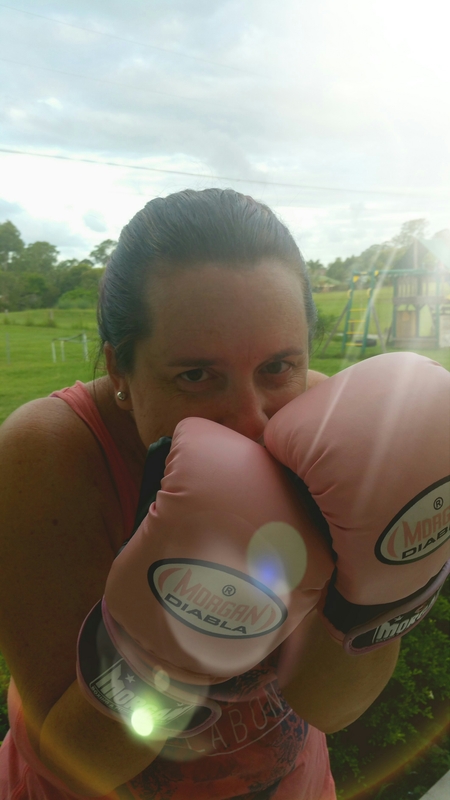 I had my first boxing PT sesh yesturday and it was THEBOMB.COM !! Such a fun way to workout. If you really look closely you can tell I’m laughing in the above pic. .. it was way fun to power out some energy. What most struck my though was after each jab, hook, or whatever you were doing, you need to come back to ‘guard’ which is basically protecting your face. 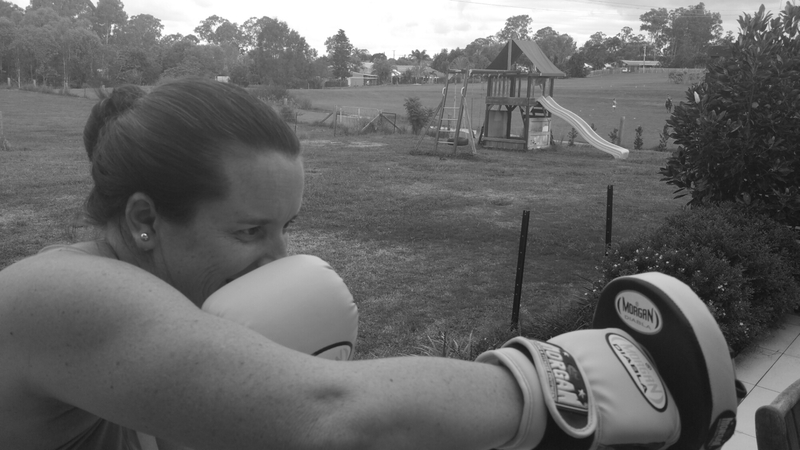 You’d think it’d be a fairly natural thing to do, to want to protect your face, but Mel, my PT, had to keep reminding me. I kinda had it by the end, but it got me thinking later about Proverbs 4 :23 Guard your heart with all vigilance, for from it are the sources of life. Mel was saying that it’s very common to guard your chest. . And while it makes more sense to guard your face (more breakable things on it I guess.. ha ha), it reminded me of that verse in Proverbs and how it’s probably true that we feel more at risk of a heart hurt than a physical hurt in day to day life. It’s not often we’re gonna cop a jab to the face is it, but it can be pretty often that our heart is ‘jabbed’. Whether it be intentional or deliberate, it hurts and does tend to cause us to guard it. I read something yesturday about how silly that ‘Sticks & stones’ poem is. Names DO hurt us… and can often cause more lasting wounds than a physical jab. What I choose to take from this knowledge though is that when you recognize how easily someone’s unkind or thoughtless words and actions can hurt you, it makes you more aware of your own. This one is a life verse I choose to live by. .. I now recognize & claim the gifting that God has put in my heart. .. to heal the brokenhearted. It’s a tough gig to be honest as to have a real needs awareness you need to ask to have your heart broken for what breaks His. This is required for me to best be able to help in the healing process of whoever’s life I’m speaking into, but can be emotionally taxing. Clearly these people are always going to be those I care about deeply, so not just the sadness of the situation, but the heartache of my friend can be gut wrenching. This in itself is just another reason why I need to guard my heart, as the enemy does love to swoop in when you’re low and send a nice hot arrow in. If I allow it to penetrate me, it can put me out of action to help others. Another element of boxing that parallels into everyday life, as well as spiritual battles, is the correct stance. It’s important to have the correct stance in order to be stable and have full body movement. .. not only to deliver your punches, but deflect any blows. If we don’t take the correct stance, we’ll be unstable & unprepared. Stay alert, stand firm in the faith, show courage, be strong.